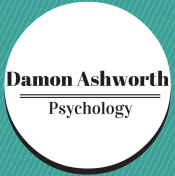 Posted byDr Damon Ashworth	 June 30, 2016 May 8, 2018 6 Comments on What Do Clients Find Most Helpful About Therapy? When clients first begin their therapy journey, they often ask to be taught specific skills that are going to help them achieve their particular goals. Clients believe that if they can be taught these skills, they will be able to overcome their difficulties or the problems that led to them entering therapy, and they will have no subsequent complications or need for additional treatment going forward. Cognitive Behavioural Therapy (CBT) is a short-term treatment that clients can easily understand. It is based on the premise that all difficulties arise from unhelpful cognitions (beliefs, expectations, assumptions, rules and thoughts) and unhelpful behaviours. CBT aims to help clients see that their cognitions and behaviours are unhelpful, and tries to teach them skills that can help them to replace these unhelpful cognitions and behaviours with more helpful ones. If this is achieved, the assumption is that clients will change and therefore improve. I do believe that if a client is able to have more helpful cognitions and behaviours, then they will have significantly improved psychological health and overall well-being. I’m just not sure if I agree that the process that is required to get to this outcome is the same as what many CBT clinicians would believe. In fact, focus on distorted cognitions has actually been shown to have a negative correlation with overall outcomes in cognitive therapy for depression studies (Castonguay, Goldfield, Wiser, Raue, & Hayes, 1996). What actually leads to improvements in treatment? For cognitive therapy for depression, both therapeutic alliance and the emotional involvement of the patient predicted the reductions in symptom severity across the treatment (Castonguay et al., 1996). Many therapists are now aware of these findings, but clients are generally not. What do clients view to be the most valuable elements of therapy once they have improved? By the end of treatment, especially if it is a successful outcome, clients tend to have a much different outlook on what they think are the most valuable aspects of therapy when compared to what they were looking for at the beginning of their treatment. In Irvin Yalom’s excellent and informative book ‘The Theory and Practice of Group Psychotherapy’, he goes into detail about a study that he conducted with his colleagues that examined the most important therapeutic factors, as identified by 20 successful long-term group therapy clients. They gave each client 60 cards, which consisted of five items across each of the 12 categories of therapeutic factors, and asked them to sort them regarding how helpful these items were across their treatment. The clients were unaware of the different categories, and only rated each of the 60 individual items concerning how helpful it had been to them. What becomes apparent when looking at these categories is that giving advice or suggestions about what to do is often not found to be a beneficial element of the therapy process, even though this is precisely what most of the clients are initially looking for. What is far more important is the client developing a more in-depth knowledge of themselves, their internal world, and how they relate to and are perceived by others in interpersonal situations. 10. Feeling more trustful of groups and of other people. 9. Seeing that others could reveal embarrassing things and take other risks and benefit from it helped me to do the same. 8. Learning how I come across to others. 7. Learning that I must take ultimate responsibility for the way I live my life no matter how much guidance and support I get from others. 6. Expressing negative and/or positive feelings toward another member. 5. The group’s teaching me about the type of impression I make on others. 4. Learning how to express my feelings. 3. Other members honestly telling me what they think of me. 2. Being able to say what is bothering me instead of holding it in. 1. Discovering and accepting previously unknown or unacceptable parts of myself. Each of the 20 clients that made up these survey results had been in therapy for an average of 16 months and were either about to finish their treatment or had recently done so. Obviously, these items were about group therapy so the most important factors for change in individual treatment may be different. However, even with individual therapy, Yalom believes that in the end, it is the relationship that heals. For more information, feel free to check out Chapter 4 in ‘The Theory and Practice of Group Psychotherapy’ by Irvin Yalom and Molyn Leszcz (2005), or any of the other studies out there that look into the outcomes or therapeutic factors involved in change across psychological treatment. If you have ever wanted to discover and learn more about yourself, accept yourself more, express yourself better, take greater responsibility for your life, challenge yourself and develop more trust in others, longer-term psychological therapy may be just what you need! This was very interesting and informative! Might I repost it ? Have a wonderful day and keep up writing, I am sure many find it useful and inspiring. Thank you! You are definitely welcome to repost it. Thank You! Will do it tomorrow 🙂 have a wonderful day and I will keep following your posts!